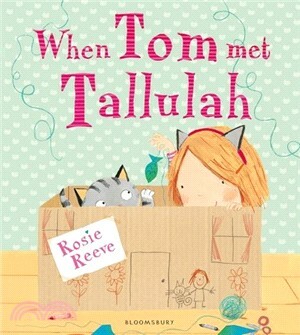 When Tom meets Tallulah, he's just a shy little kitten but Tallulah knows just how to make him feel at home. Tallulah, you see, is very good at 'CAT'. She can tell exactly what Tom wants from a simple 'purr' or 'miaow'. They are the perfect team, best friends until . . . Tom begins to learn 'HUMAN'. Suddenly, Tom is not quite as cute as he first seemed. SOMEONE has not been nice . . .
Find out just how much mischief one rascally cat can get up to in this rebelliously funny picture book.